Vintage Anatomy Child's Skeleton: This prints comes from a salvaged old anatomy text. The pages have been scanned in, cropped, and retouched to ensure the highest quality reproduction possible. 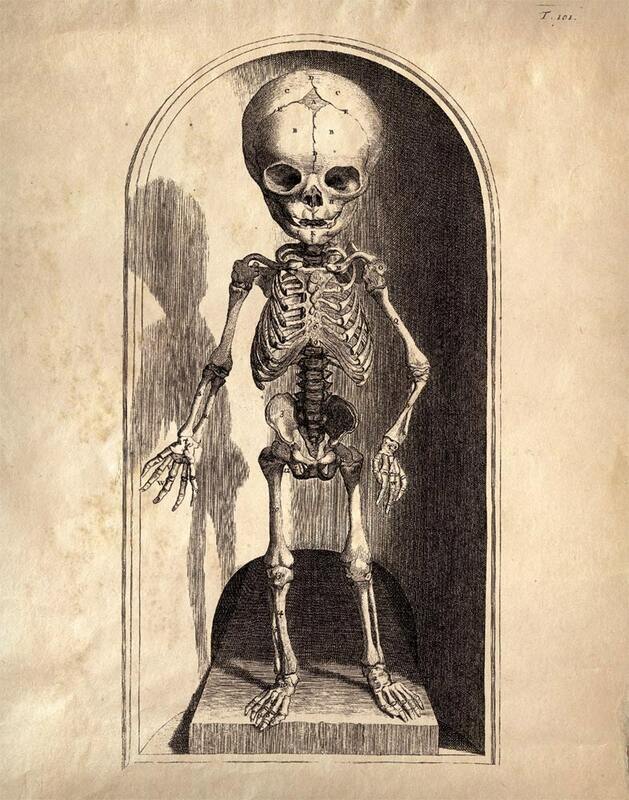 "Child's Skeleton" is a vintage scientific illustration of the human skeleton by Govard Bidloo, a Dutch Golden Age physician, anatomist, poet and playwright. He was the personal physician of William III of Orange-Nassau, Dutch stadholder and king of England.